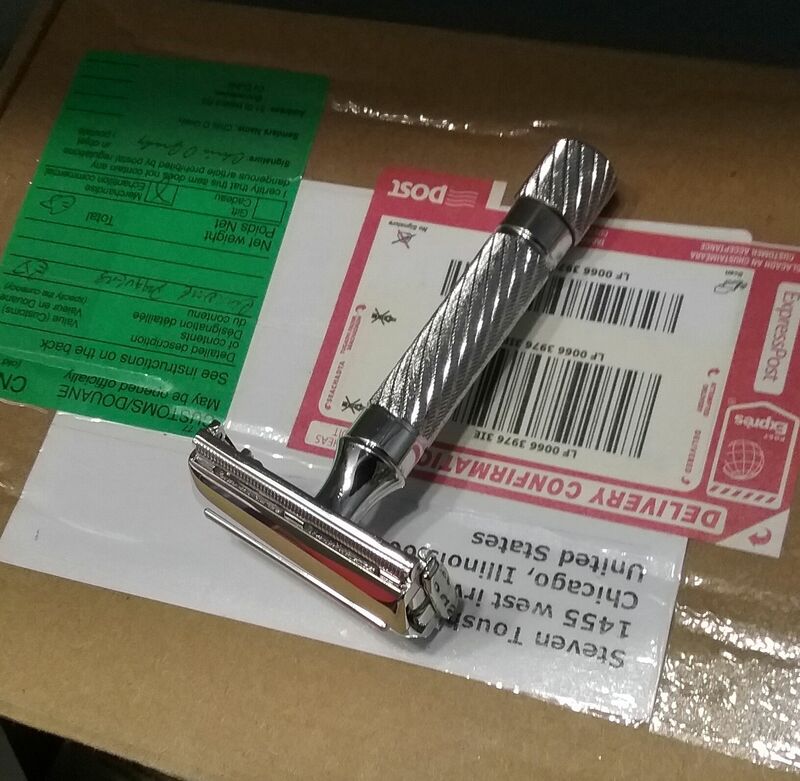 I went rummaging around in a storage area looking for a what I assumed was a Double Ring that I'd purchased many years ago to write a piece and ask members questions about this assumed razor. 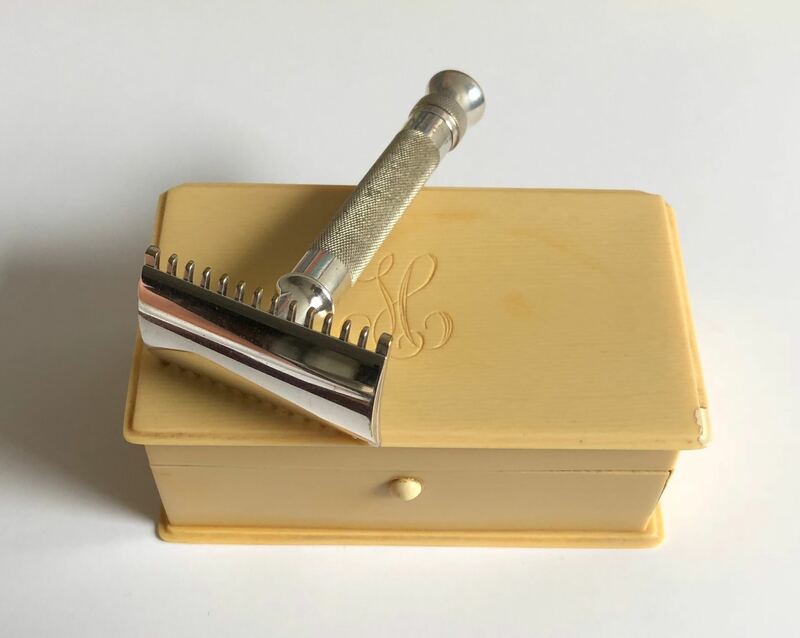 While looking I unpacked this beautiful 1914 Silver Aristocrat in its French Ivory box (the Aristocrat was also produced in 1916) I purchased this razor about 15 years ago on eBay and paid $68. at auction. 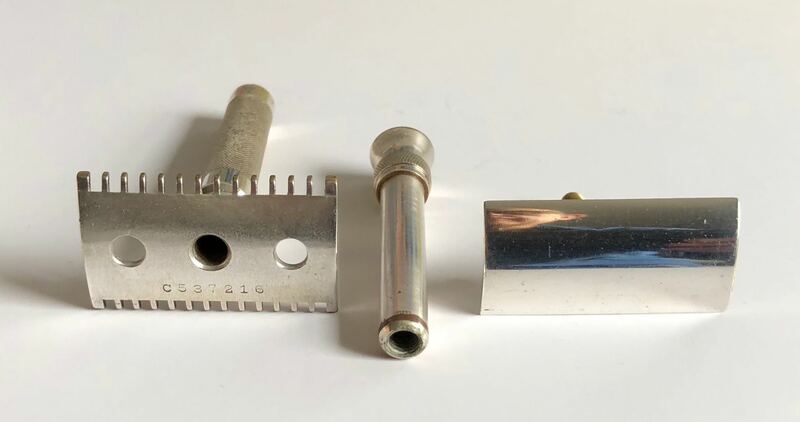 Another interesting item about the Aristocrat, the 1934 2nd generation of Aristocrat was paired with the Bulldog handle (Barber poll design) that became known as the Aristocrat handle, all the British Aristocrat razor's used this handle. 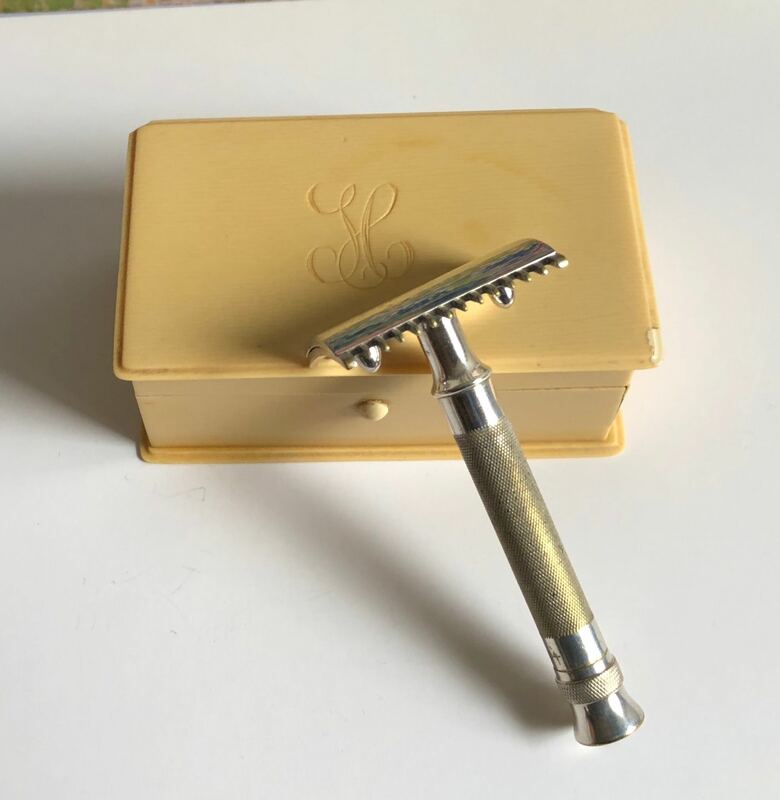 The 1940 through 1950 U.S. Aristocrat had a variation of the 1934 handle, this variation was applied to Gillette's President, Diplomat, Fatboy, Slim razors. 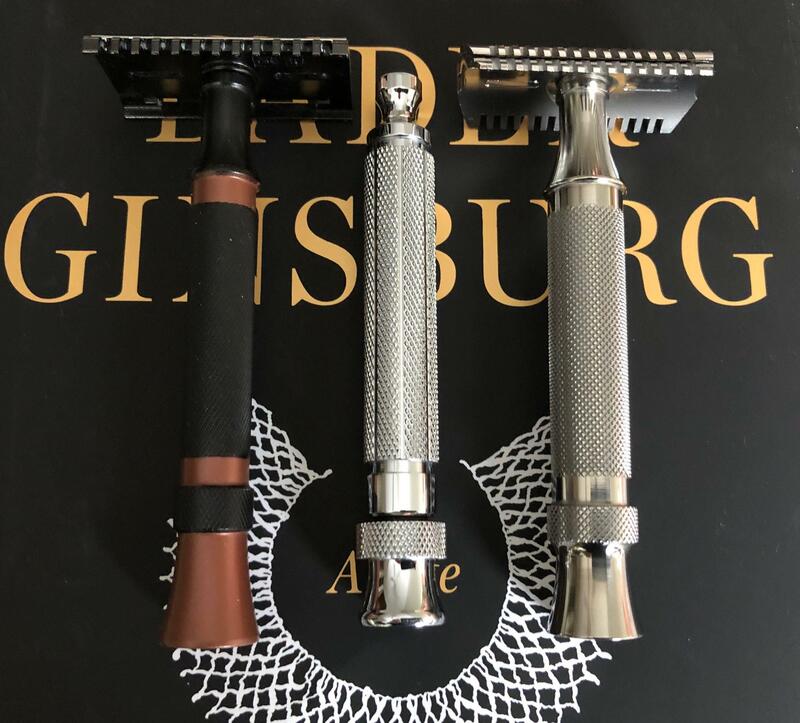 Over the last decade, the name Aristocrat has been applied independently to a very desirable razor handle recreated by some very talented artisans. 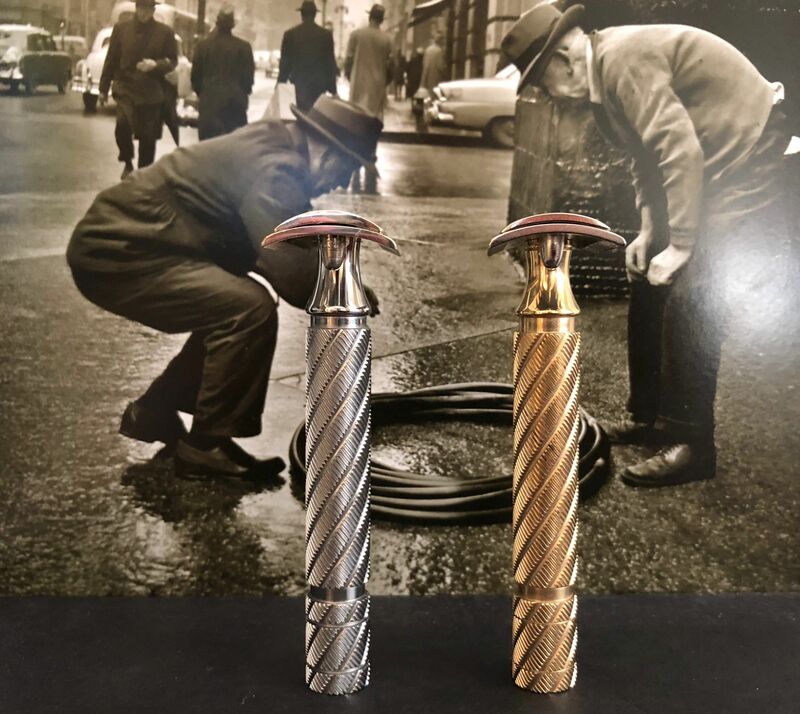 This wonderful handle by itself has been re-created as it was originally intended as well as in variations by extraordinary talented artisans like Triad, UFO Jurgen Hempel etc. in a variety of materials. 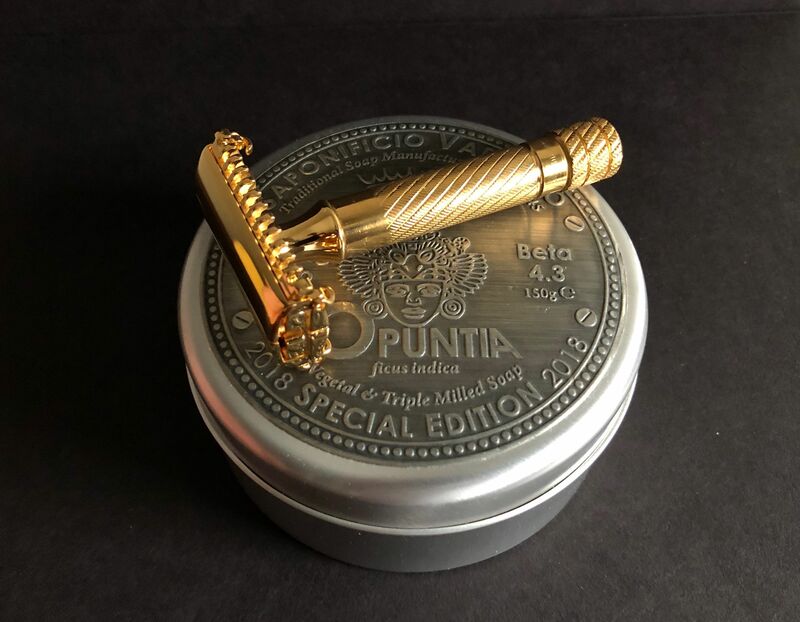 So Gentleman please look in your dens and closets and posts stories and images if you so choose of your wonderful Aristocrats razors and handles (original design). 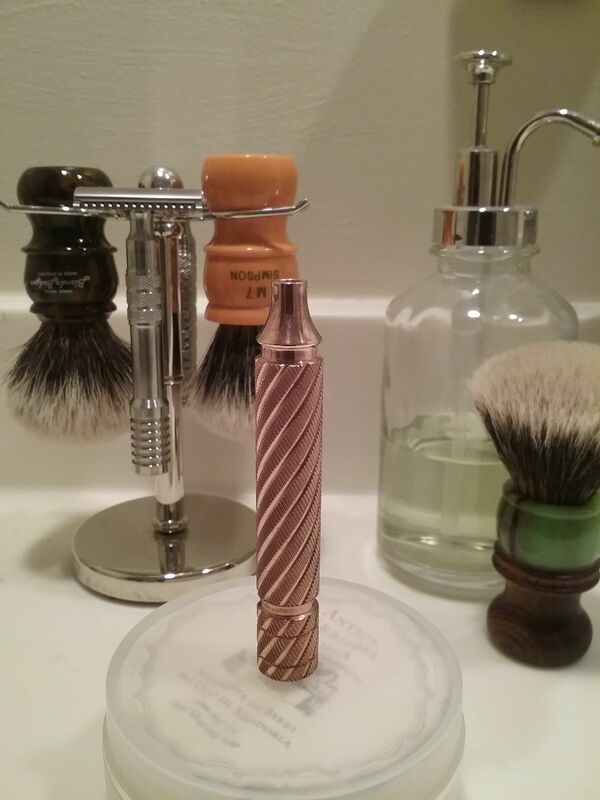 Please do not leave out the Executive or any razor that has the originally designed Aristocrat handle. 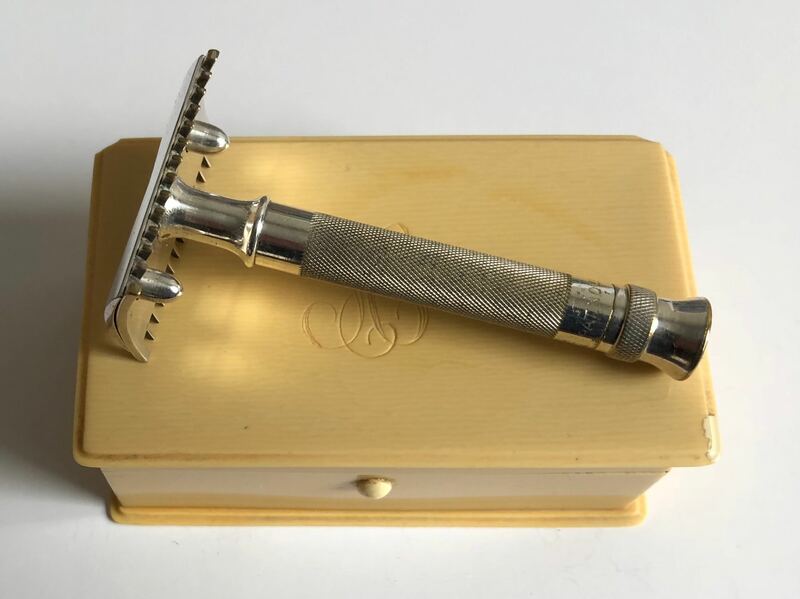 1914 Silver Aristocrat with the Bell handle, it is this handle that distinguished the first Aristocrat from other razors in that era. 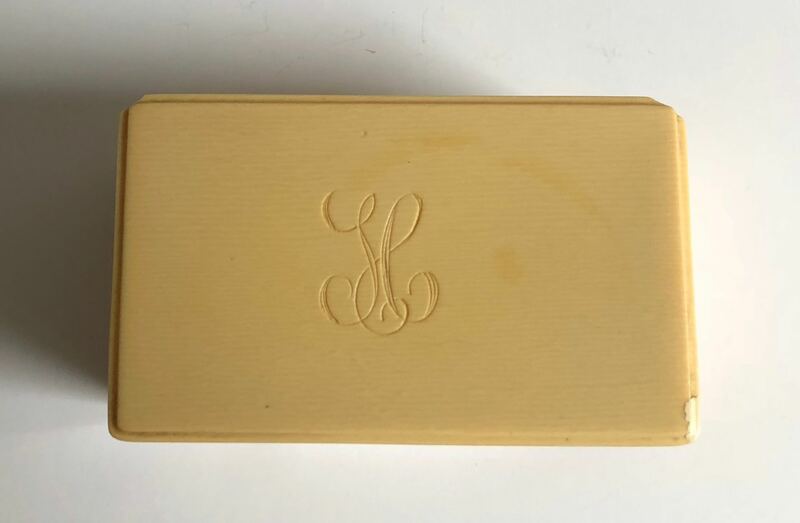 Beautiful razor, I've always been drawn to the ivory Bakelite cases. You made good investment on the bell tube as they now fetch over $200 every time I see them come up for auction. Having both blade banks on yours is nice to see too! (11-22-2018, 08:25 AM)bijou Wrote: 1916 Silver Aristocrat with the Bell handle, it is this handle that distinguished the first Aristocrat from other razors in that era. Beautiful razor indeed, but as far as I can tell the serial number (C537216) should indicate a late 1914 production date... which would either indicate it was replated in silver at some point in the past, or - and this is the interesting possibility - silver Aristocrats were made earlier than Mr Razor suggests (Waits' Razor Compendium is not stating if silver was manufactured from 1914 or not). 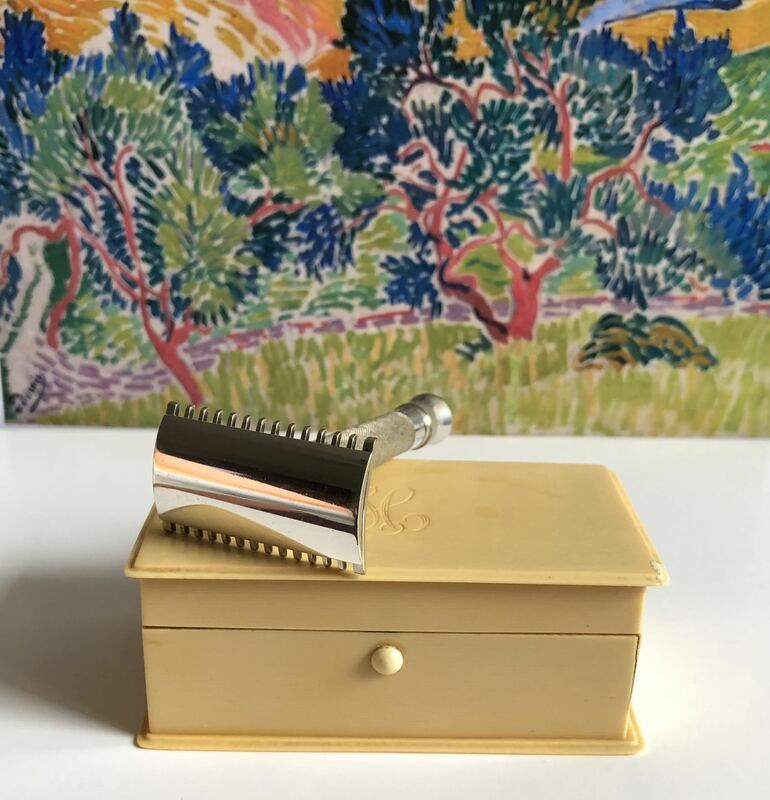 (01-15-2019, 10:27 AM)phishsublime Wrote: Beautiful razor, I've always been drawn to the ivory Bakelite cases. You made good investment on the bell tube as they now fetch over $200 every time I see them come up for auction. Having both blade banks on yours is nice to see too! 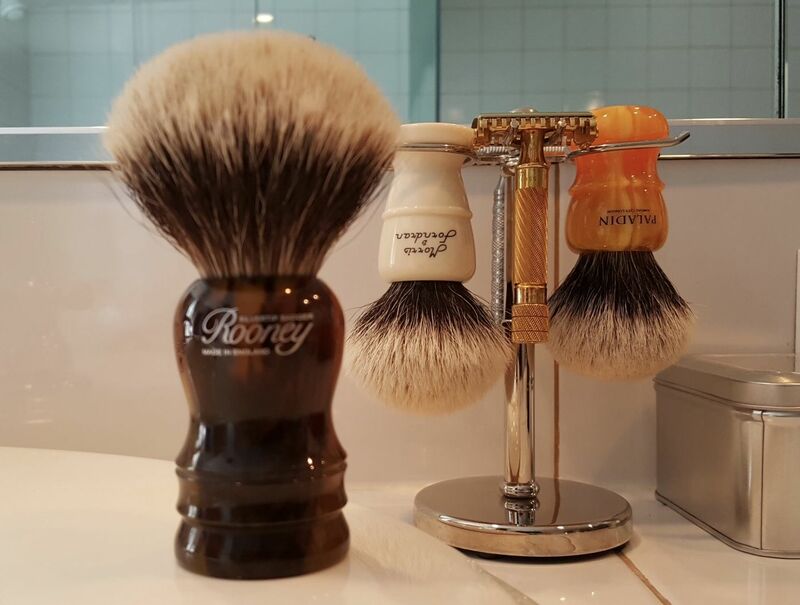 That a good question, the 1914 is shown in Gold on Mr, Razor razor (just shown no other info) with no other information about a Silver. In my research, I've not found any info that does not state that a Silver was not made (in the 4 Aristocrats I've owned none were nickel all were silver). 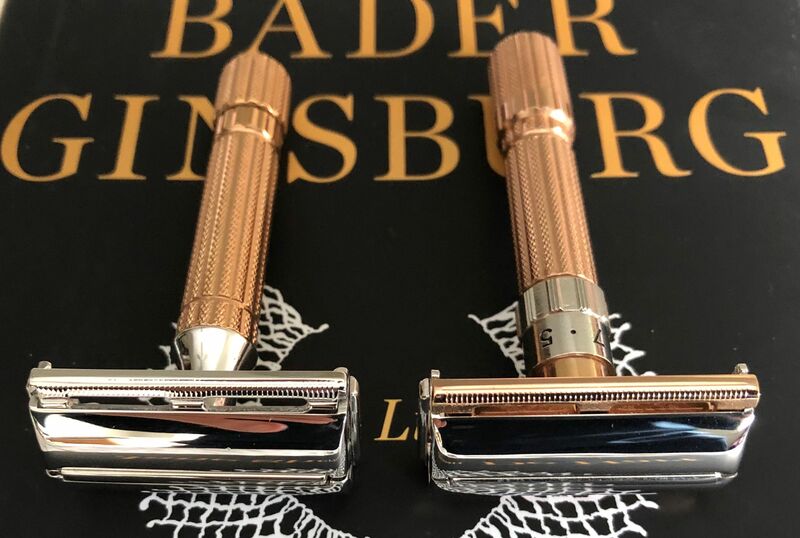 As far as re-plating, I have a few razors that were re-pladed years ago, the plating is horrible (you can especially tell on the handle's and under the top cap). So it is very possible I that 2 models were made for different price points. 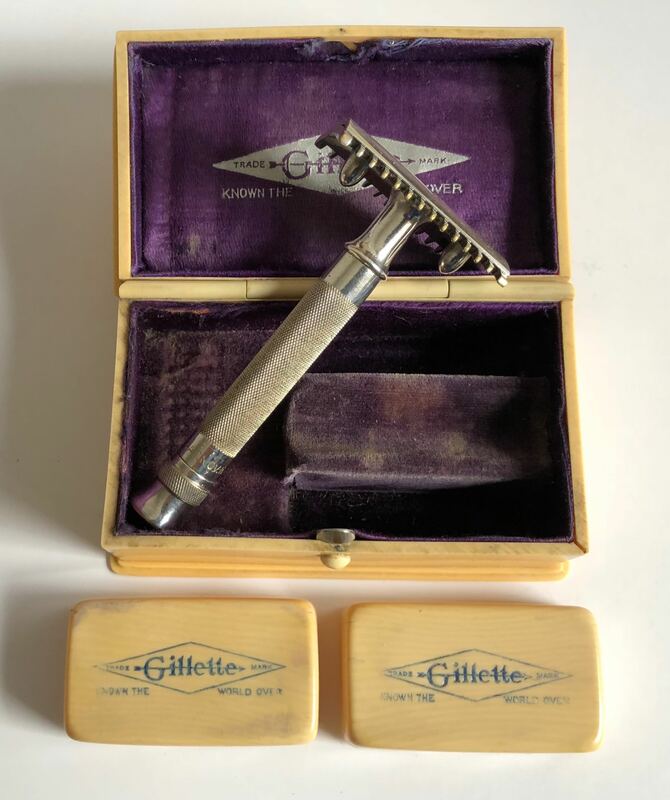 Also I did not find any advertisements in that era for the Aristocrat that would give me a better idea about the razor. Quote: TM fist used Aug 1914. TM filed 13 Nov 1919. Comb guard, three-piece, knurled handle with flared flat end. 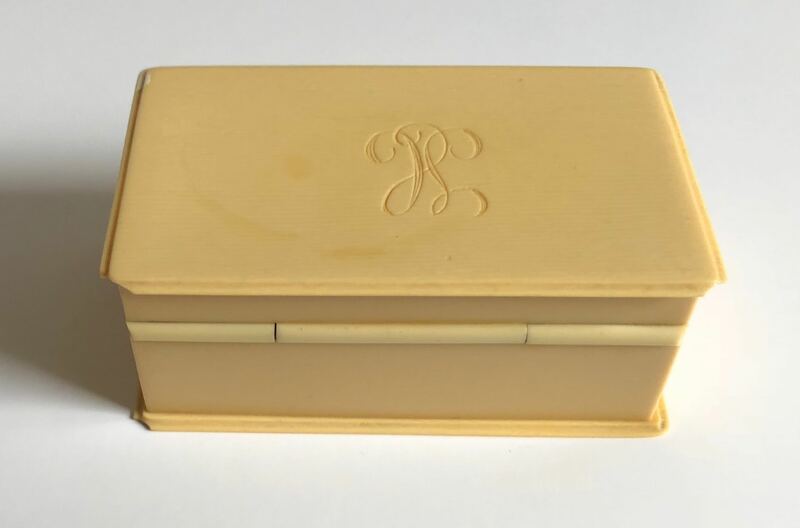 Triple silver-plated or gold-plated razor in imitation ivory (celluloid) case, two matching celluloid soapdish-style (with lids) blade boxes, c. 1915-1920. I love the bell tube handle. To my knowledge (but it could be sparse), Cooncat Bob is the only handle artisan to replicate it. Again, I could be wrong and I don't keep up with the handle market anymore, since I have all the handles I could possibly want. For sure Cooncat Bob was the first to make a similar handle to the bell tube. I think this type of handle is harder to make than the standard handles. 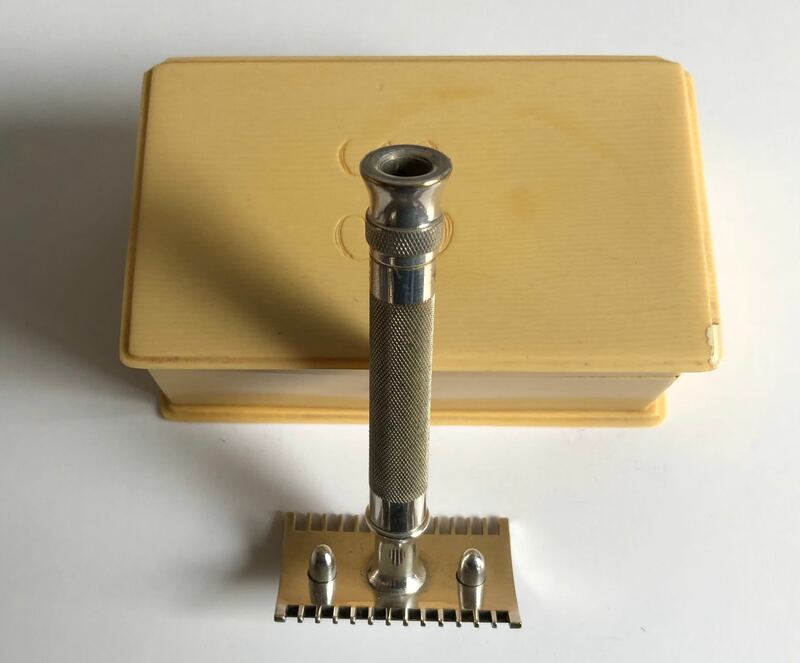 2- This razor is the 1920 Bulldog razor (or barber pole), the name of the razor was distinguished by it's the handle (a 1918 army bulldog was also made but the handle was slightly shorter). 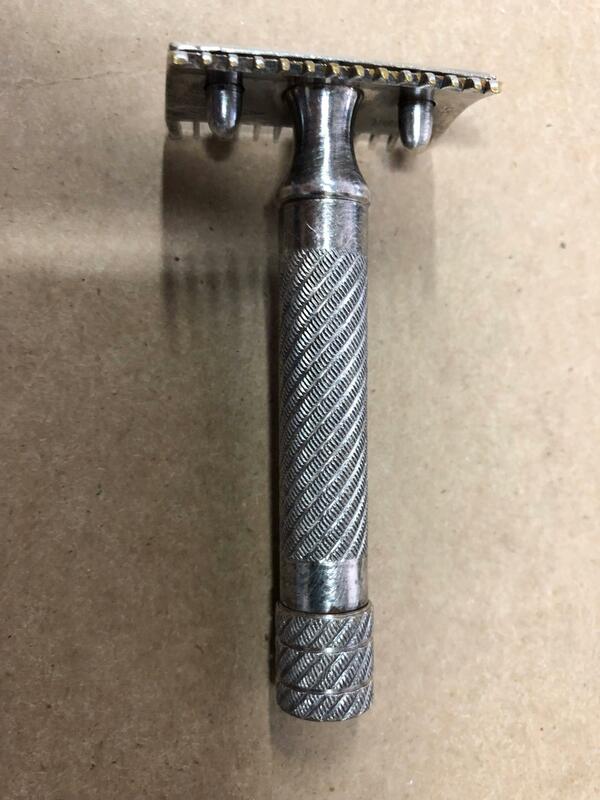 The Bulldog handle was later used on the 1934 Aristocrat and the handle became known now as the Aristocrat handle. 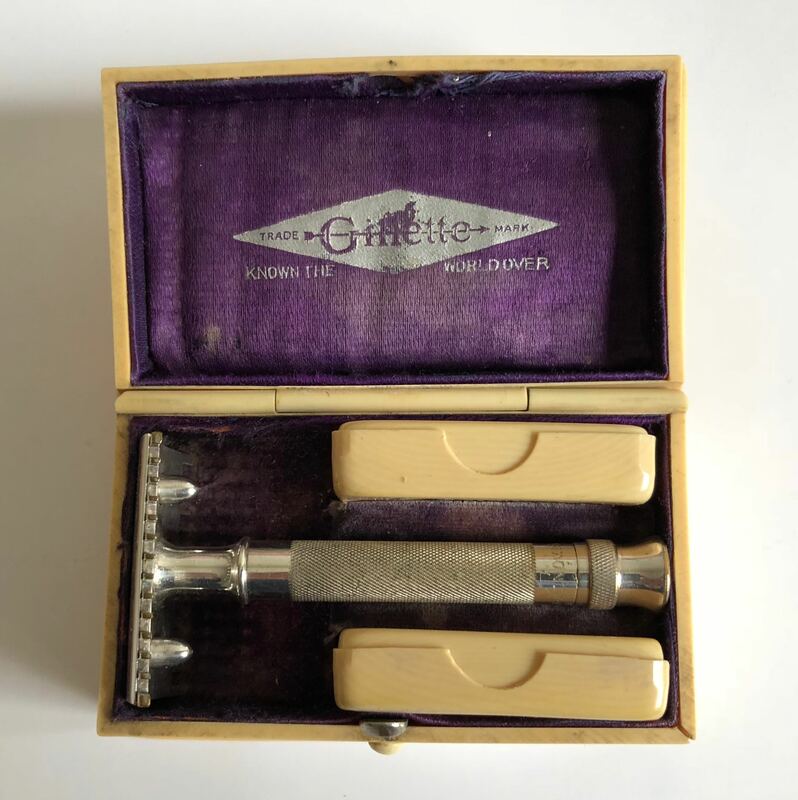 3- The 1934 Aristocrat is the razor hanging on the stand. This photo was taken years ago with other items in view. 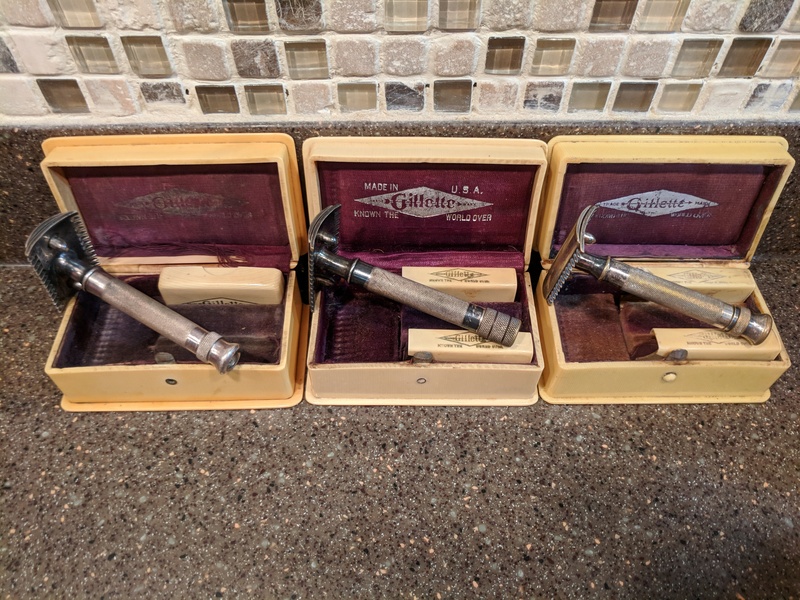 8- Aristocrat American 1948-50, this new Aristocrat had a new style handle which was used on the Fatboy (pictured alongside the 1948-50), The Diplomat, President, and the 1950 Executive razors along with the Slim Adjustable.